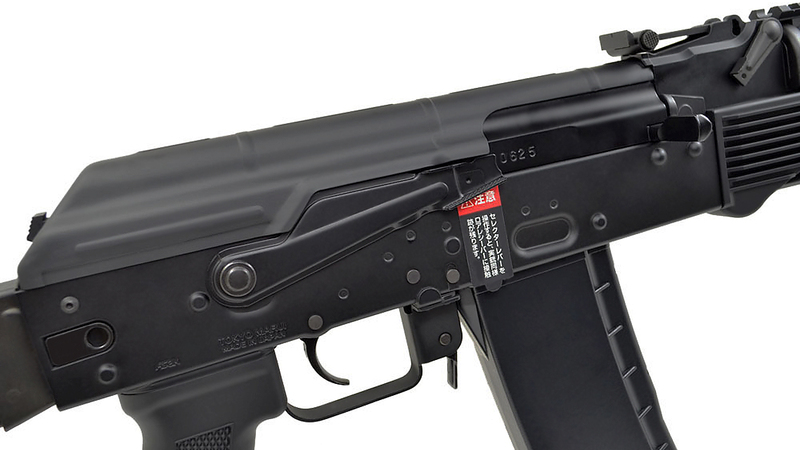 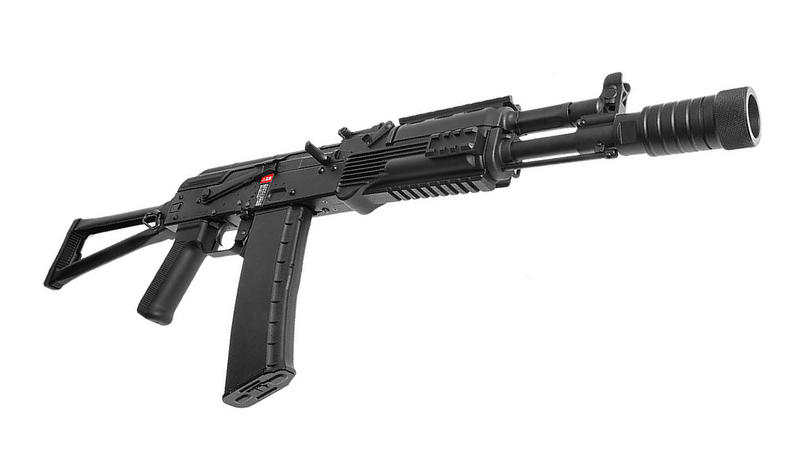 This brand new replica of the AK102 from Tokyo Marui really does look the part. 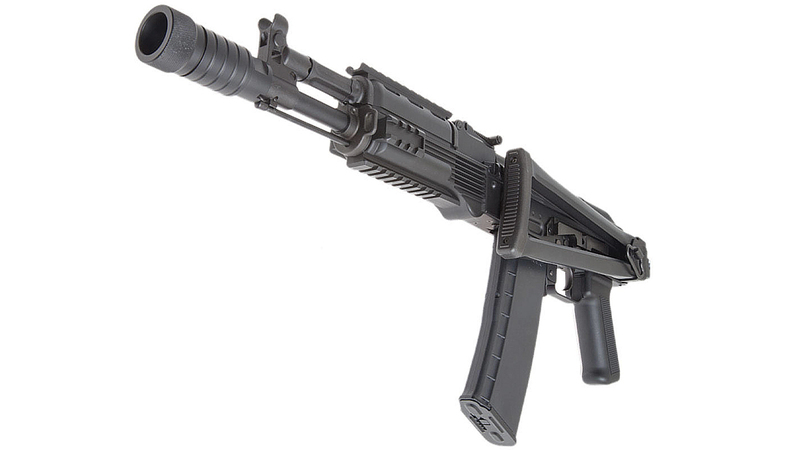 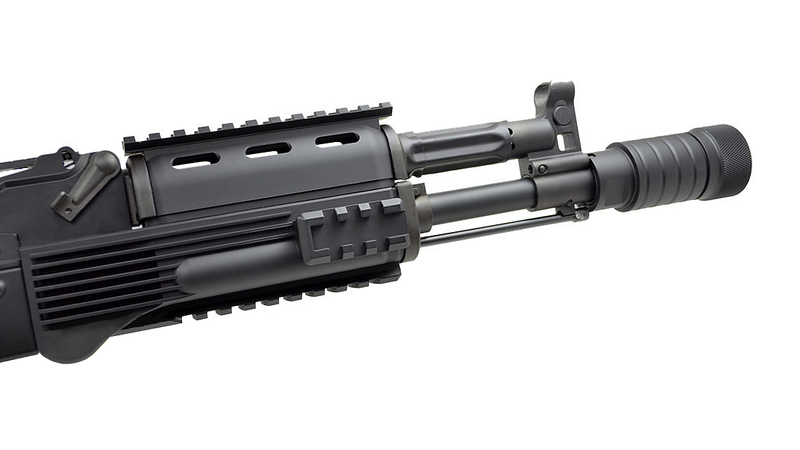 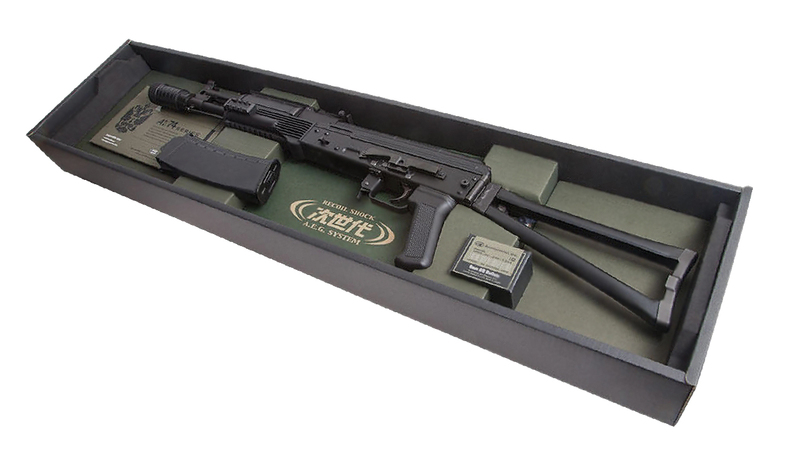 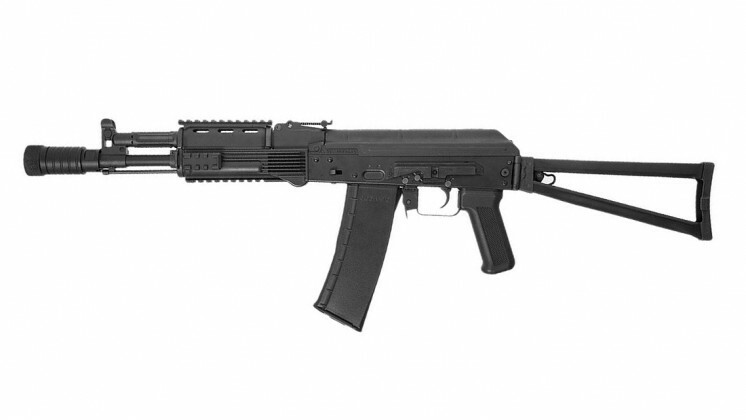 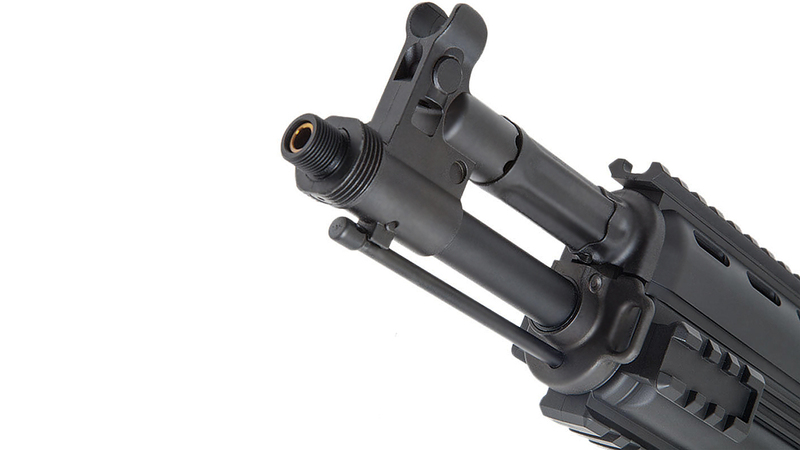 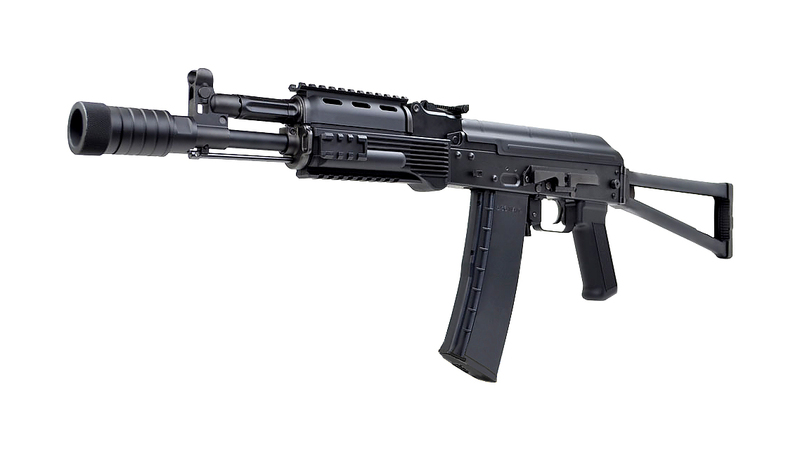 Recreated as faithfully as legally allowed, this tactical AK is fully supported with 4x 20mm mil-spec rails on the front handguard. 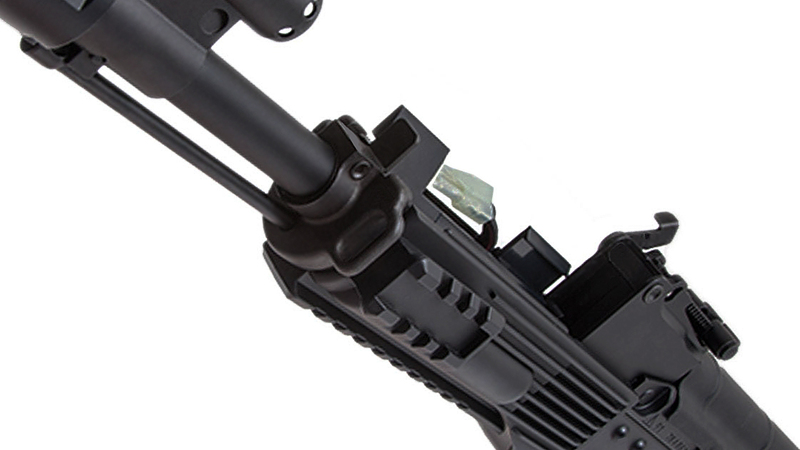 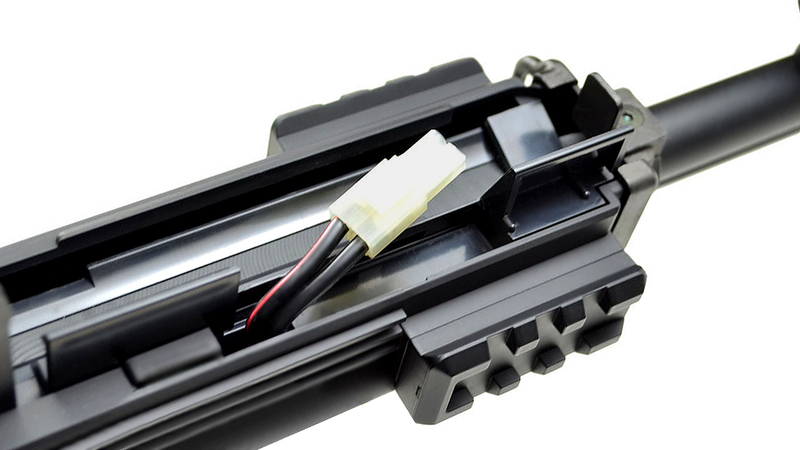 The Tokyo Marui AK102 sports a stamped folding skeleton stock, whilst following the real steel NATO configuration uses a 5.56mm sized Hicap magazine and a KFH styled muzzle device. 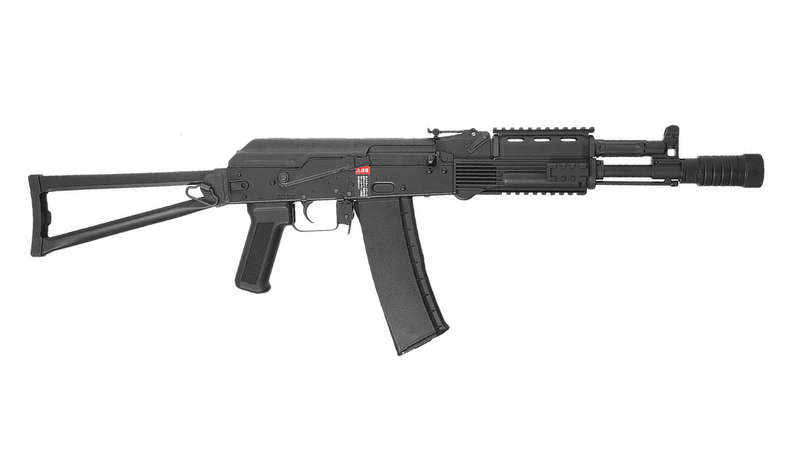 Featuring a newly improved recoil engine, the AK102 really is a class above the older Tokyo Marui AEGs.